Over two years ago, I stumbled across something quite surprising in Frankfurt. Not a town usually known for its creative and cool spaces, I was surprised to discover this small, trendy café in the heart of Frankfurt which, admittedly, looked a tad out of place, wedged in between the giant skyscrapers of ​‘Mainhattan’ and a hair salon, but there it was: Bunca Barista. Bunca Barista. All photos by the author. I got to chatting with the owner, Samson, who moved to Germany from Eritrea with his parents when he was still a toddler. Now he runs this cool, industrially designed café of the kind that you could find in Melbourne’s trendiest neighbourhoods. 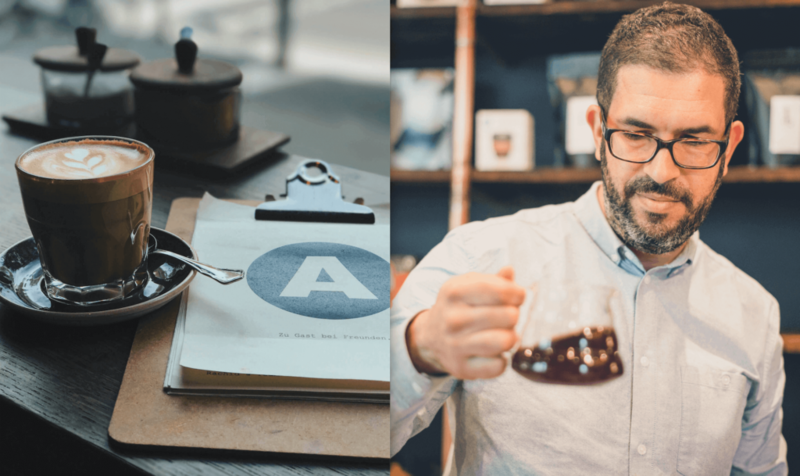 To be honest, I had missed the Australian caffeine scene ever since I moved to Germany, but Bunca gave me hope that day. Since then, Frankfurt has exceeded all my expectations. Not only is Bunca now a thriving business with a line going out the door and often onto the street, but Samson is also about to open a second location: Bunca 2.0. 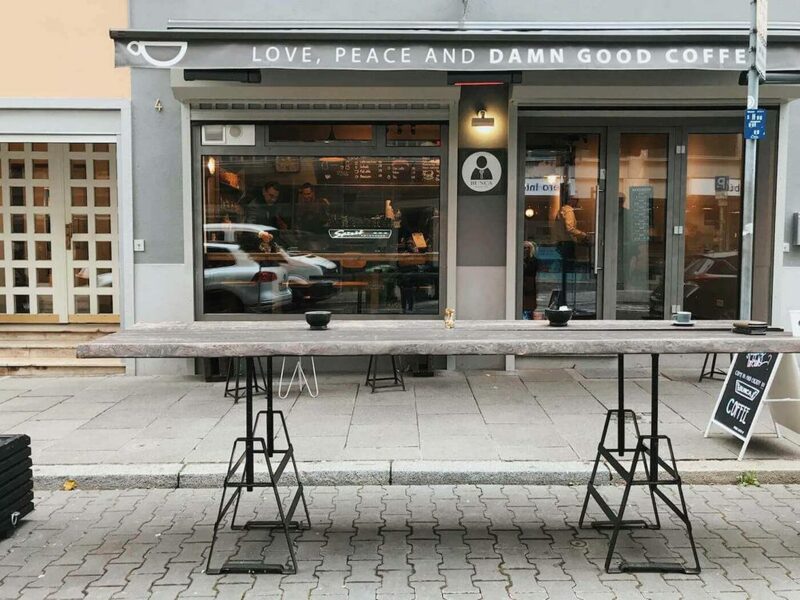 Word on the street is that Samson was so inspired by the breakfast and coffee scene in Australia, that he decided to import the concept to Frankfurt. These days when we chat, he rightly points out that there’s a gap in the market in Frankfurt for breakfast and brunch options. Samson’s planning on filling that gap by changing how Germans think of breakfast: from a mere slice of bread with honey or marmalade to so much more. Point and case, Bunca 2.0 is almost open to the public and will provide both its usual stellar coffee and several trendy bites. One of Bunca’s best cups. I met up with him to have a look at the second location, which will be completed in just a few weeks. Conveniently for me, it’s across the road from my Bahnhofsviertel apartment and I can safely say this place is exactly what my area needs. It’s trendy, chic and will surely be buzzing with friendly customers in no time. Putting my own convenience aside, whatever he’s serving, I’ll be lining up first. 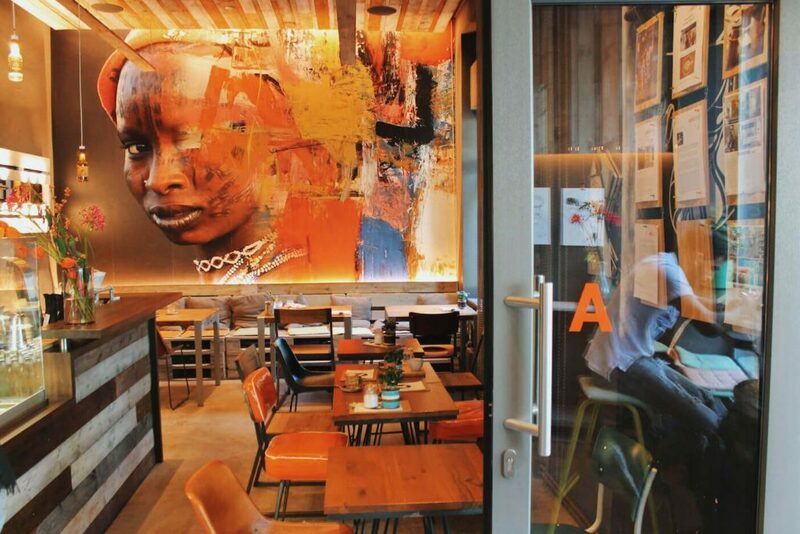 Another favourite of mine is Aniis, located in Frankfurt’s newest up-and-coming area, Ostend. While the area was once run-down and dirt-cheap, it is now teeming with trendy housing, top-notch cafés and more. With this in mind, it’s easy to understand why the owner of Aniis, Rachid, chose to set up shop in this chic neighbourhood, across from Frankfurt’s new European Central Bank. Originally hailing from Morocco, Rachid combines his love for delicious Moroccan inspired food with his passion for specialty coffee. The result is a menu loaded with mouthwatering dishes and gourmet coffee. 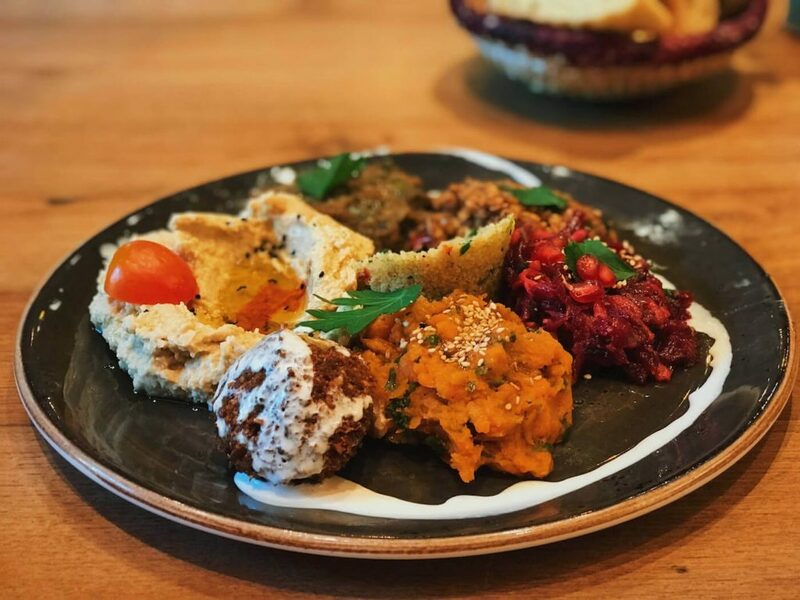 My hot tip is to order yourself a flat-white and the Aniis Teller, which is a beautiful plate packed with tasty bites and colourful treats. Right: Rachid inspecting a fresh brew. Last but not least, I wouldn’t be a proper Frankfurter if I failed to mention Fahrgasse, a street which will lead you straight from Frankfurt’s main shopping street past the cathedral area, antique stores and art galleries. Finally, you’ll end up at a square called Fischerplätzchen. This square is the place to be if you want to grab a drink or a bite to eat. For food and craft beer Naïve has got you covered, for cocktails try Moloko and for a slice of cake or a cup of tea Sugar Mama is your best bet. 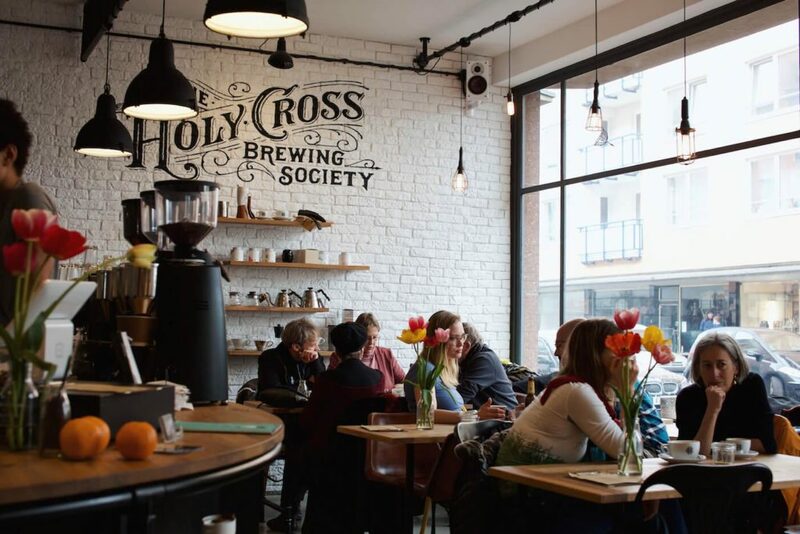 However, if you’re in the mood for a world-class cup of coffee, the Holy Cross Brewing Society serves up a truly impressive flat white. 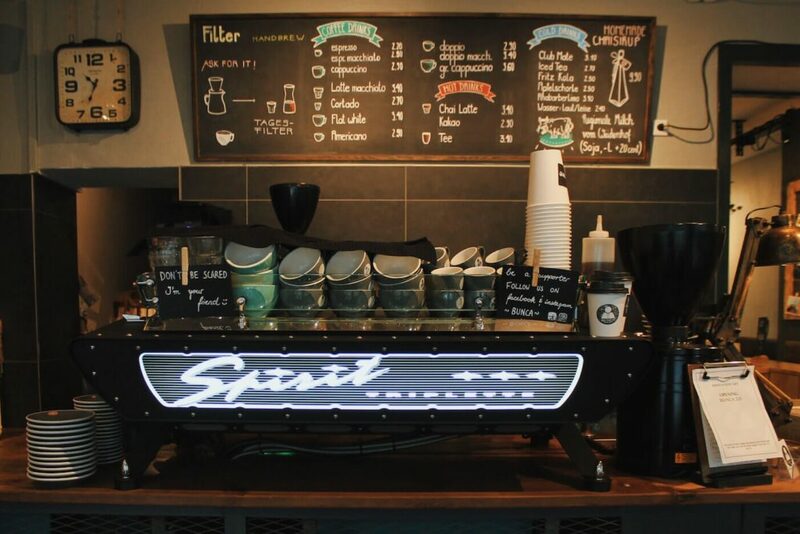 A peek inside this leading Frankfurter coffee specialist is sure to impress: the old factory-style interior is reminiscent of some of the best cafés in London or New York, and it is sure to leave you feeling cosy and hip at the same time. Grab a coffee here for a caffeine experience out of the ordinary. 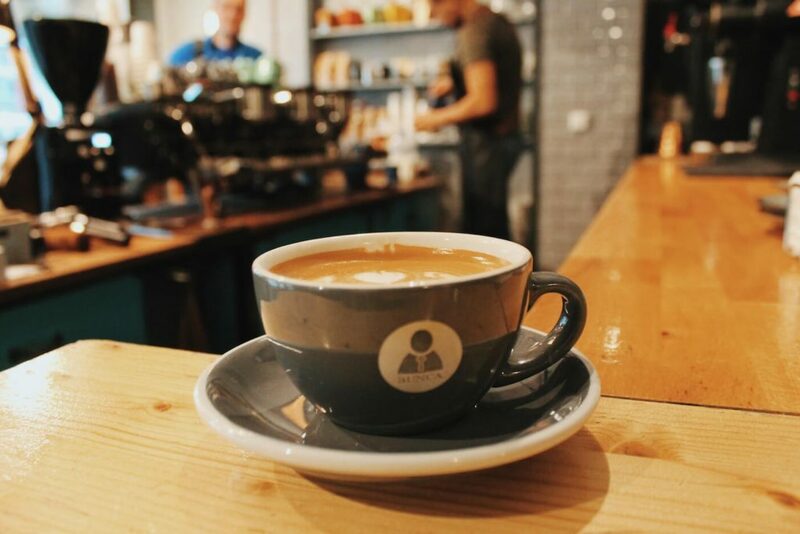 Since Bunca first opened their doors to Frankfurt’s coffee thirsty public, many more specialty coffee shops have followed suit. 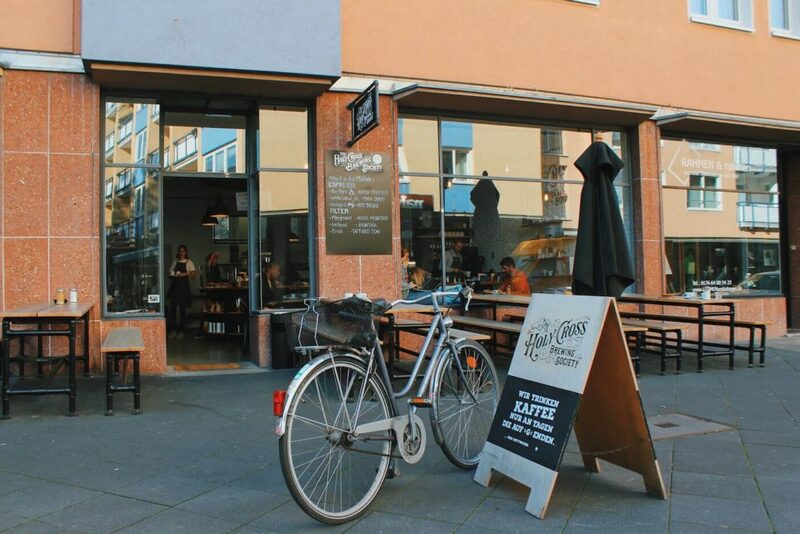 These include VIF, Espresso Bar, Café 48 and Hoppenworth & Plotch just to name a few. These days, it seems like the locals aren’t going to settle for anything but stellar coffee, and perhaps they owe it all to Bunca for starting the trend. Personally, I think the Frankfurt locals are delighted that the city is starting to shed its corporate banking image in exchange for something a little more exciting.